Zephaniah Rogers was born on March 18, 1747, in Mendon, Massachusetts. Zepheniah married Elizabeth Rood on March 7, 1770, in Litchfield, Connecticut, when he was 22 years old. In 1776, he served in Captain Satterlee’s company of militia. After the Revolution, he lived in Albany, New York, in 1790 and moved to Pennsylvania, sometime between 1790 and 1819. He died on November 7, 1823, in Franklin County, Ohio at the age of 76. Pension file for Zephaniah Rogers, “United States Revolutionary War Pension and Bounty Land Warrant Applications, 1800-1900;” database and images, Fold3.com (http://www.fold3.com : accessed October 2015); from “Revolutionary War Pension and Bounty-Land Warrant Application Files,” citing NARA microfilm publication M804, Washington, D.C.: National Archives and Records Administration, 1974. In 1918 America was deeply involved in World War I and men were needed by the thousands to serve in the United States Army. The Selective Service Act of 1917 authorized the government to conscript men into service to fight overseas. On September 12, 1918, the pool was increased requiring all men 21-45 to register. With wife Lizzie and daughter Caroline at home in Little Russia 33-year old Carl Porubsky, my great great grandfather, went to the local registration office and was registered for possible conscription into Uncle Sam’s Army. Interestingly, this draft card lists his name as Charles. I’m certain it’s for Carl. The date of birth, wife’s name, and address all align with other sources I have for Carl. Perhaps the woman transcribing it, Besse Buechner, heard ‘Charles’ in Carl’s heavy accent? I posted this one before, back in December 2012 but wanted to revisit it because I basically posted the original without giving it a thorough look. 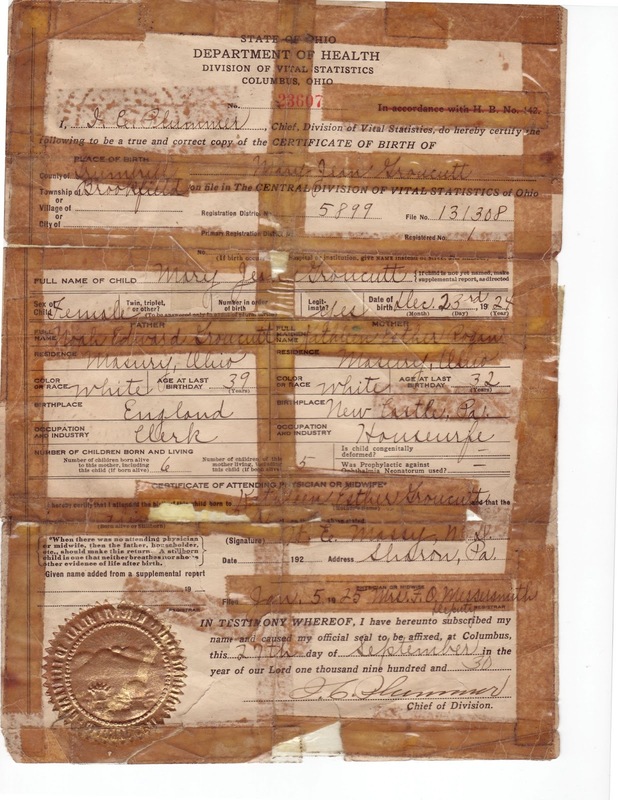 My grandmother’s birth certificate is in incredibly awful condition. It has been taped and folded repeatedly. It’s currently laying flat, but it’s one of those documents that I’m glad I could digitize because it may not survive it’s next examination. My dad, aunts, and uncles have never spoken of an aunt or uncle who may have been born and died at a young age. My research has likewise not turned up this child. All of my grandmother’s known siblings survived into adulthood, and when she died in 1987, my grandmother was thought to be the first to pass away. Obviously, I have some digging to do. I previously wrote about the murder of my great grand uncle John Witt (here). In the intervening time, I made some inquiries to see if I could learn about this tragic event. A member of the Allegheny County Genealogy Facebook group informed me that the University of Pittsburgh Archives Service Center maintain the case files for the Allegheny County Coroner’s Office from 1887 through 1974. A quick reply to email, a $12 check and two weeks of patience provided me with John’s autopsy report. I share it with you here with a warning that certain parts are graphic and include scientific descriptions of the bullet wounds, organs, and John’s physical condition. While it’s certainly sad to think that such a report is even necessary, it’s also a reminder that his murder is unsolved and forgotten by many. Hopefully we can work to change that. “Autopsy of John Albert Witt,” Allegheny County, Pennsylvania Coroner’s Office Records, collection AIS.1982.07, box 506, record 194211-246, University of Pittsburgh Archives Service Center, Pittsburgh. Among my Christmas presents was a gift subscription to Ancestry.com, which I had survived without for the last year. Most of my online research had been done with Familysearch.org or GenealogyBank.com. Having an Ancestry.com subscription has greatly expanded my base of searchable records. One of the first collections I searched was the 1920 census. It was picked mostly because I previously had limited access to it. I quickly discovered the census record for my great grand uncle Joseph C. McSweeney. On 26 January 1920, when visited by census enumerator Harry Burke, Joseph was living in Delaware County, Pennsylvania with his brother. This came as a bit of a shock as Joseph was born, raised, and had married just a few years prior in Leetonia, Ohio. He wasn’t living with his wife or son, Joseph Jr., but rather with his brother John and sister-in-law Mary. His listing as a widower quickly had me searching for more records. Joseph was married to Anastasia Lowry and they had a son, Joseph, Jr. There marriage was short, as Anastasia died in 1919 at age 24 of a sarcoma of the hip, a very aggressive and poorly treatable condition for the time. After suffering for nine months, she succumbed to the disease on 13 February 1919 at Salem Hospital. She’s buried at Calvary Cemetery in Leetonia, Ohio. Photo by Joe Lowry, May 2012. Ana’s death explains the widower designation; when the census enumerator visited a year later, Joseph was a 25 year old widower with a son. In fact, the family of father and son had split up. Joseph moved to the industrial town of Chester, Pennsylvania to live with his brother and sister-in-law while Joseph, Jr. stayed in Leetonia to live with his grandparents and Ana’s brothers. McSweeney, John D., head, home is Rented, male, white, 24 years old, married, is able to read and write, born in Ohio, father born in Ohio, mother born in Ohio, is able to speak English, blower at a furnace as a wage worker (hourly, instead of salaried). ”, Mary, wife, female, white, 24 years old, married, is able to read and write, born in Ohio, father born in Ohio, mother born in Ohio, is able to speak English, not employed. ”, Joseph C., brother, male, white, 27 years old, widower, is able to read and write, born in Ohio, father born in Ohio, mother born in Ohio, is able to speak English, chemist at a blast furnace as a wage worker (hourly, instead of salaried). 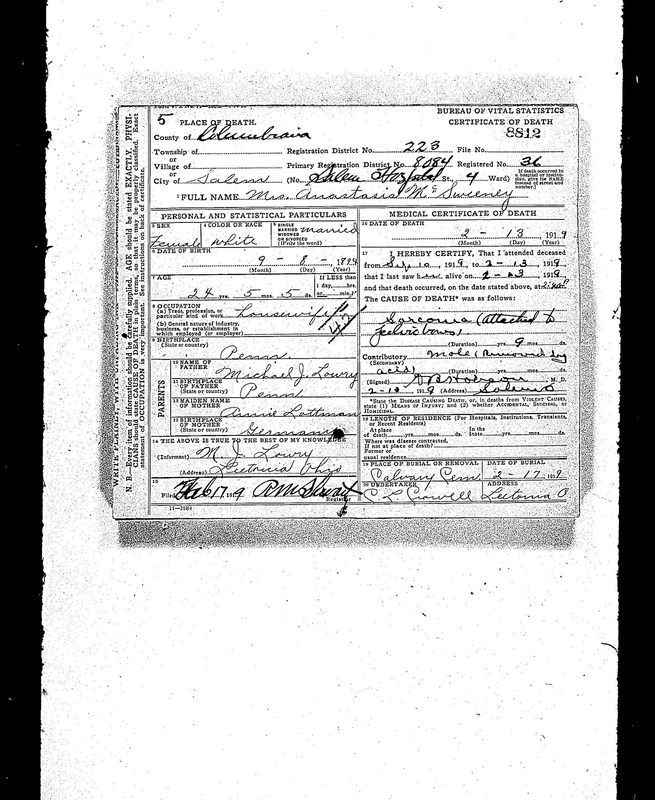 Joseph and Anastasia’s son Joseph Jr. was sent to live with his grandparent’s in Leetonia, Columbiana County, Ohio. Whether this was a short-term or long-term arrangement hasn’t revealed itself. What is known is that four generations of Lowry’s were now living in one household, including three of my ancestors (in bold, below). Joseph Jr. is listed last on the census record. Lowry Jr., Michael, head, house Owned, Free without Mortgage, male, white, 49 years old, married, able to read and write, born in Pennsylvania, father born in Ireland (native tongue Irish), mother born in Ireland (native tongue Irish), is able to speak English. Trade or occupation listed as ‘none’. ”, Annie, wife, female, white, 50 years old, married, immigrated in 1873, Naturalized in 1877, able to read and write, born in Bavaria (Ger) (native tongue German), father born in Bavaria (native tongue German), mother born in German (native tongue German), is able to speak English. Trade or occupation listed as ‘none’. ”, Edward, son, male, white, 23 years old, single, able to read and write, born in Ohio, father born in Pennsylvania, mother born in Bavaria (Ger) (native tongue German), able to speak English, machinist in a machine shop. ”, Charles, son, male, white, 20 years old, single, has not attended school since Sept. 1, 1919, able to read and write, born in Ohio, father born in Pennsylvania, mother born in Bavaria (Ger) (native tongue German), able to speak English, chemist in a steel plant. ”, Raymond, son, male, white, 17 years old, single, has not attended school since Sept. 1, 1919, able to read and write, born in Ohio, father born in Pennsylvania, mother born in Bavaria (Ger) (native tongue German), able to speak English, apprentice in a machine shop. ”, Helen, daughter, female, white, 13 years old, single, has attended school since Sept. 1, 1919, able to read and write, born in Ohio, father born in Pennsylvania, mother born in Bavaria (Ger) (native tongue German), able to speak English, not employed. ”, Michael Sr., father, male, white, 89 years old, widowed, immigrated in 1849, Naturalized in 186*, born in Ireland (native tongue Irish), father born in Ireland (native tongue Irish), mother born in Ireland (native tongue Irish), is able to speak English. Trade or occupation listed as ‘none’. McSweeney, Jr., Joseph, grandson, male, white, 1 8/12 years old, single, born in Pennsylvania, father born in Ohio, mother born in Pennsylvania. Trade or occupation listed as ‘none’. I don’t know what relationship father and son had after this or if they were yet to be reunited. A search of the 1930 and 1940 U.S. Census records is my next step. Stay tuned. There’s more to come! 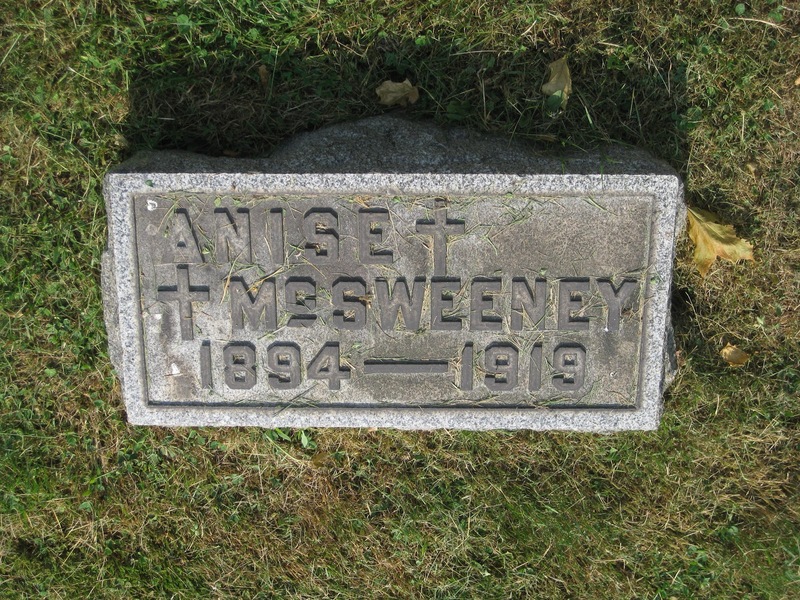 “Ohio, Deaths, 1908-1953,” index and images, FamilySearch (https://familysearch.org/pal:/MM9.1.1/X8K4-8LN : accessed 27 Dec 2012), Anastasia Mcsweeney, 13 Feb 1919; citing Salem, Columbiana, Ohio, reference fn 8812; FHL microfilm 1984637. 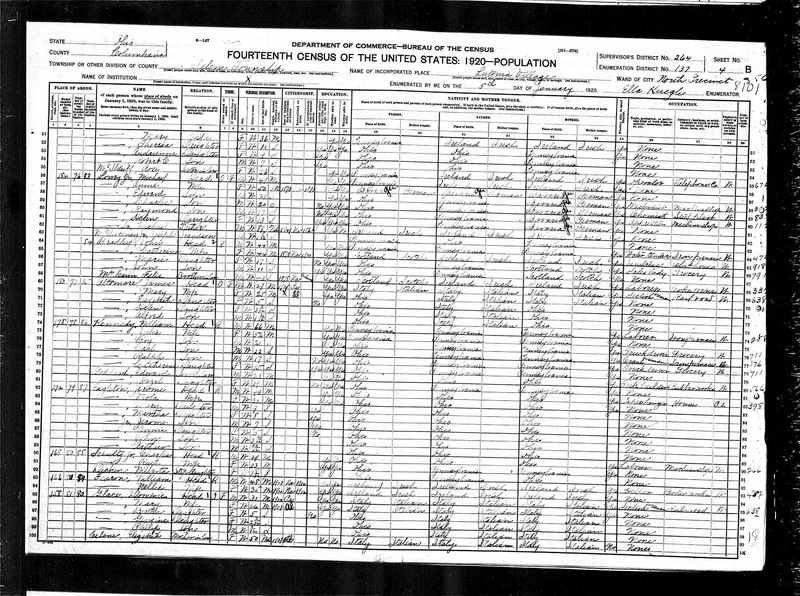 “United States Census, 1920,” index and images, FamilySearch (https://familysearch.org/pal:/MM9.1.1/MFR5-3RF : accessed 27 Dec 2012), Joseph F Mcsweeney in household of John D Mcsweeney, , Delaware, Pennsylvania; citing enumeration district (ED) , sheet 31A, family 649, NARA microfilm publication T625, FHL microfilm 1821561. 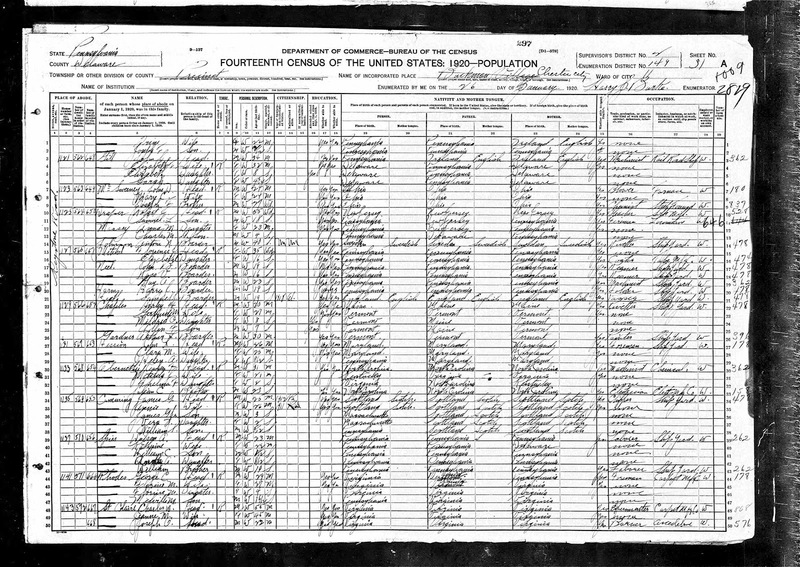 “United States Census, 1920,” index and images, FamilySearch (https://familysearch.org/pal:/MM9.1.1/MDLY-931 : accessed 26 Dec 2012), Joseph Mcsweeney in household of Michael Lowry, , Columbiana, Ohio; citing enumeration district (ED) , sheet 4B, family 83, NARA microfilm publication T625, FHL microfilm 1821356. Happy birthday, grandma! My grandma Mary Jean Groucutt Lowry was born on December 23, 1924 in Brookfield Township, Ohio. The sixth of eight children, she was the last one born at home, with younger siblings Barbara and James born in the hospital. 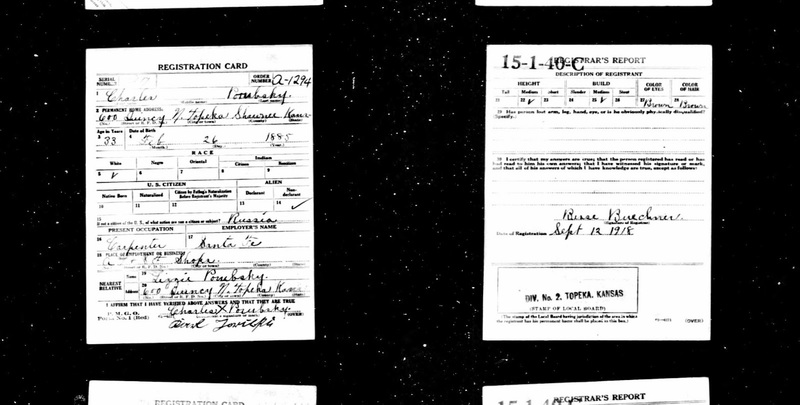 Her birth certificate, not on good shape at all and taped ten ways to Sunday, was signed by J. Plummer, Chief, Division of Vital Statistics, Ohio Department of Health on 27 September 1930, nearly six years after her birth.